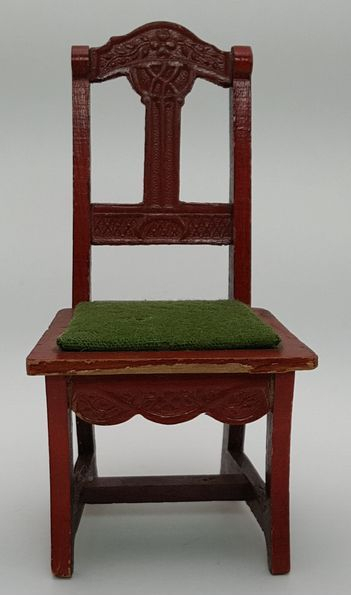 Lovely German red Schneegas side chair with embossing on the chair back, sides, and front skirt in an Art Nouveau design. 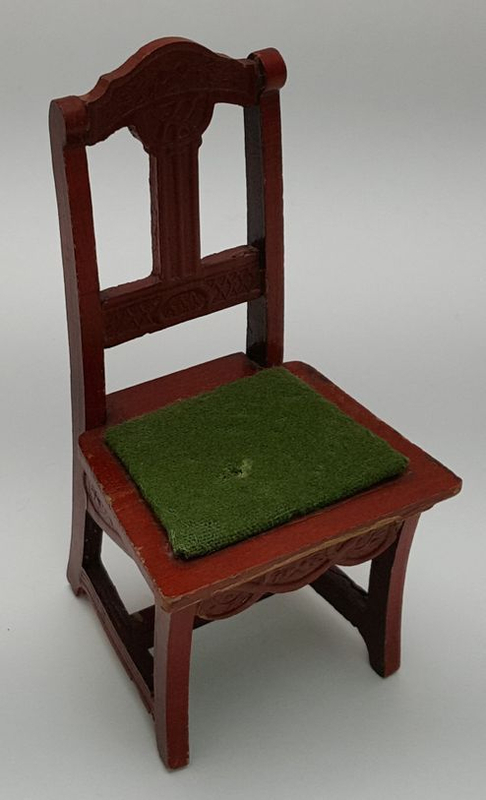 The seat is made of green velvet that has a small age hole. 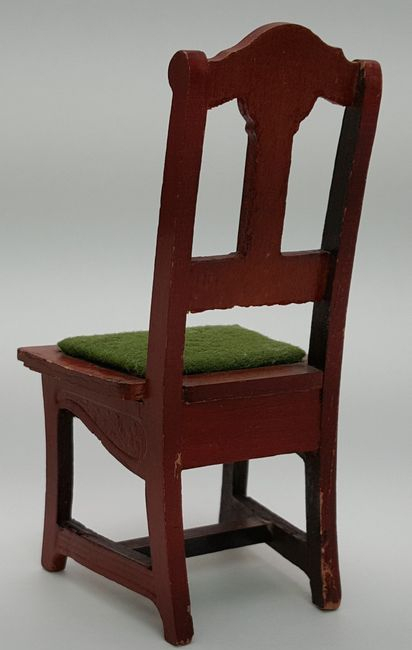 The chair is in great condition with some age wear, most noticeably on the front seat edge. 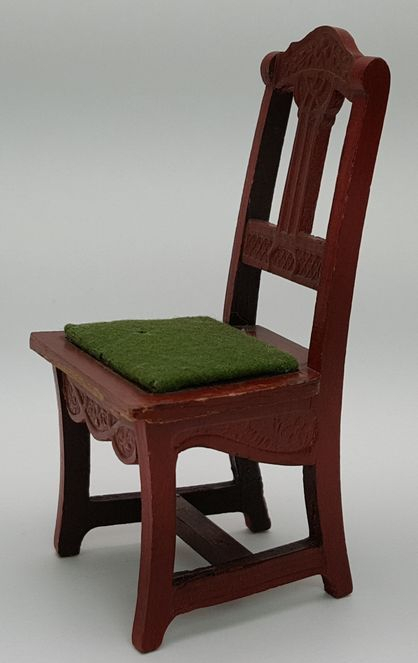 Very nice looking, solid chair.